Stop Here and look no further! You have arrived at the home of the ONE & only All day (up to 18 hours) Lipcolor named Lipsense.Â Who isn’t looking for a Bright lipstick to liven up even the most dismal of winter days? Let’s take a look at all the Bright days ahead with just a new lipcolor…Not just any ole lipstick! LipSense by SeneGence is ONE OF A KIND lipcolor that won’t smudge, smear, transfer to anyone or anything…Yes! Ladies…Kiss the night away and your Lipstick is still lookin good. The lipcolor is available in over 50 shades with the unique layering capability, you will haveÂ hundreds of color options from soft Nudes, pinks, oranges, reds to wicked trendy Blackberry shades. Let me help you arrive at your favorite signature shade to include even the most loud Barbie Hot Pink! 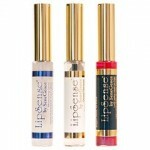 This patented lipcolor (not waxy lipstick) is weightless on your lips and will not budge once you apply it. The added bonus with this technological lipcolor is delivered by our phenomenal Shea Butter gloss that is meant to used in conjunction with Lipsense to supply you with much needed moisture while penetrating the color. You may want to choose the ever so popular Matte Gloss for this season. If you are new to LipSense, it is recommended that you purchase the Collection set to include your choice of color, a Glossy Gloss (most moisture of all the glosses) and an oops remover for those occasional mistakes. Lot’s of choices and I’m here to help if you need me.